The Eucharist, also known as the Holy Communion, is an important rite of passage for a young girl in the Catholic Church. 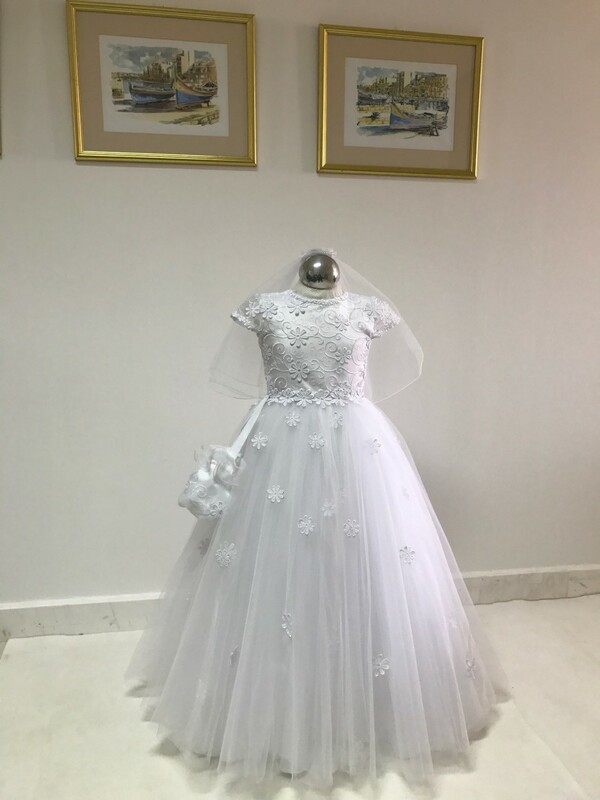 This special occasion in your child’s life will become unforgettable with the right choice of First Communion dress, making her feel like a princess on her big day. 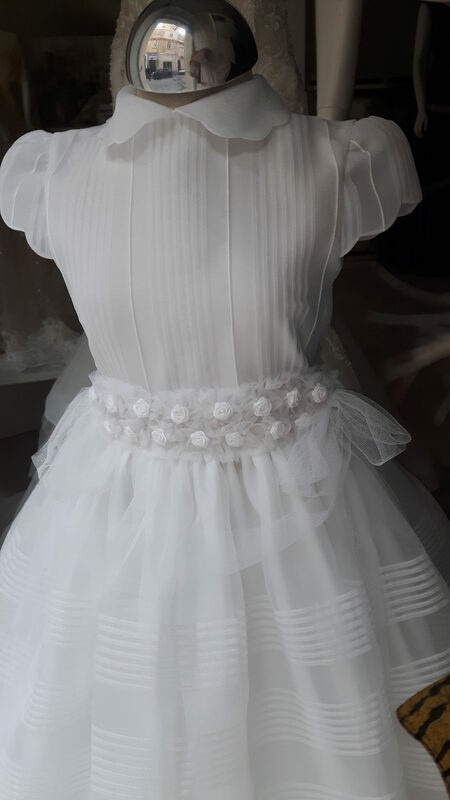 Finding the perfect Communion dress will be made an easy and enjoyable experience by our qualified staff, for both you and your little girl. 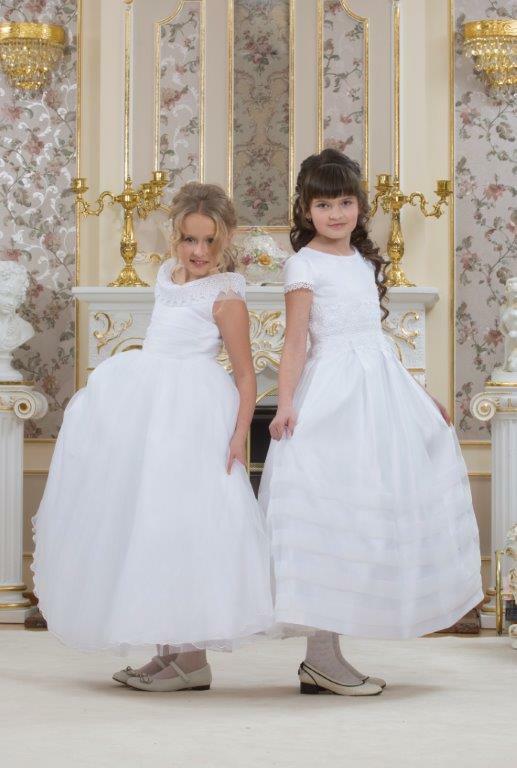 We are proud to offer an array of Holy Communion dresses for all budgets. Celebrate her First Holy Communion with a vintage or contemporary design dress that suits your daughters personality and style. At Alamango you will find a beautiful collection of elegant, feminine dresses for this memorable event in your child’s religious life. Our classic and timeless First Holy Communion gowns are sure to be passed on to future generations in your family. The dresses we offer come in a variety of styles, including long length, tea length, sleeveless or capped sleeves. Our Communion dresses are made in exquisite fabrics with a choice of simple satin, cotton designs and embellished details. 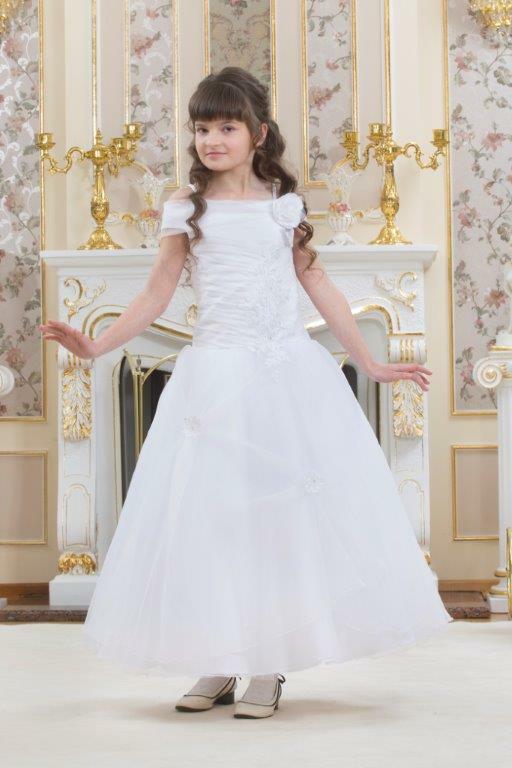 Every high quality dress in our Holy Communion collection comes in a wide range of sizes. We also offer a large selection of accessories such as veils, gloves, tiaras, crowns and headbands to complete the look for the special occasion.